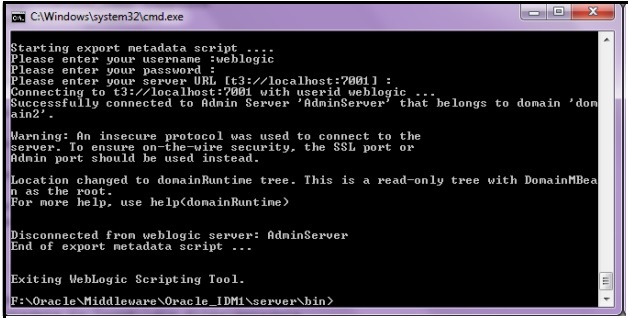 1) Edit "weblogic.properties" file present at "<Middleware_home>/Oracle_IDM1/server/bin" . 3) Save the file and run "setWLSEnv.bat" located at "<doamin_home>/bin" . 4) Now the next step is to run the "weblogicDeletemetada.bat" . For this open the command prompt and navigate to path "<OIM_HOME>/server/bin" . Note: Before running this command make sure that weblogic and oim servers are up. 5) Restart all the server. Now create user and check. It wont go to LDAP Directly.